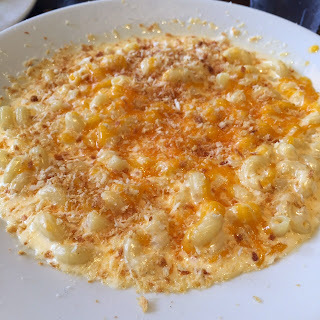 Today I get to write an especially fun post, at least for me, because this mac and cheese trip was an especially fun and memorable one. My birthday is coming up, and as an early surprise, my boyfriend bought us both bicycles so we could start riding around the city. 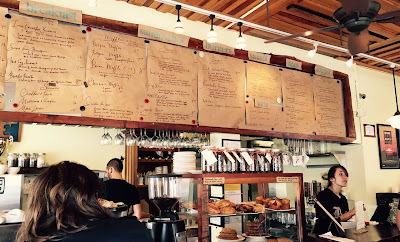 We rode from the SF Presidio, through the Richmond district, all through Golden Gate Park, and eventually down to Ocean Beach, where we pedaled down the Great Highway until our lunch destination: Beachside Coffee Bar & Kitchen in the Outer Sunset district. I had no idea what I was going to eat, but I was starving after such a long, hilly ride. And so, of course, I was thrilled to find that Beachside had a mac and cheese dish on the menu! It came in a great big bowl, and since I was so hungry I was happy to have such a big portion. The pasta was cooked pretty well, and the cheese topping was pretty delicious. Unfortunately, the general sauce flavor was a little light and the sauce itself was a little runny, but I still enjoyed it and ate the entire dish. My favorite part of the experience, however, was just the general atmosphere. It was very laid back and even though this is a relatively popular place, it didn't seem to hard to get a seat at a table. It's one of those easy, order at the counter and grab a number for your table type of places. Super low-key, which fits well with it's close proximity to the ocean. That whole area near the beach has a sleepy vibe to it and Beachside seems to embrace that. When you first walk in you are greeted by big wooden tables, a large paper, handwritten menu, and best of all, a ridiculously big pastry case with some of the most delicious treats and goodies I've ever seen. 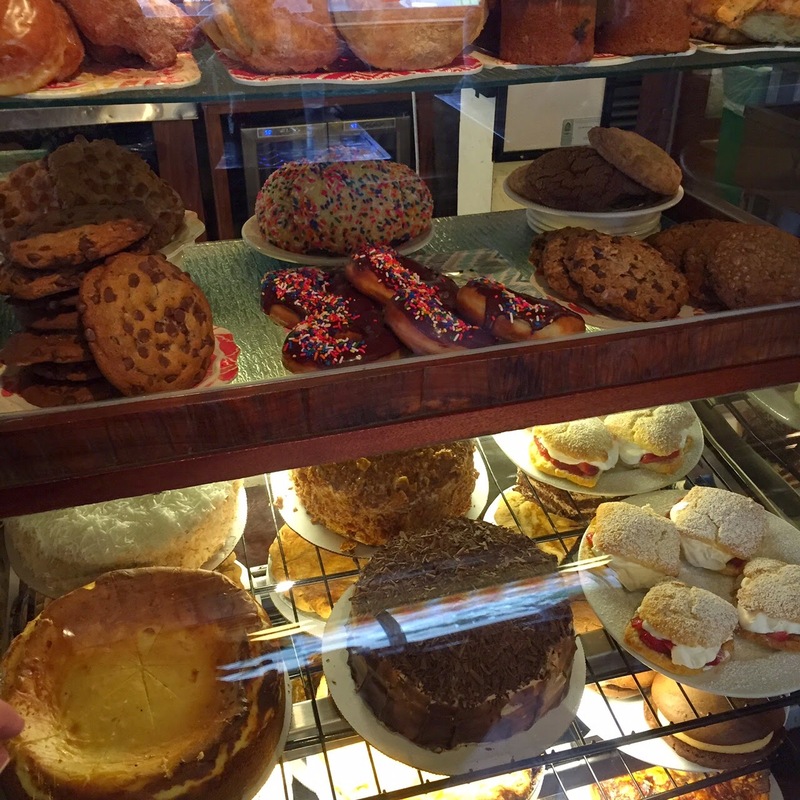 Even though we've now already been to the restaurant twice, I have yet to try one of these amazing looking baked items, but fully intend to do so, very very soon. On my second visit, we went for breakfast, where I tried a bacon waffle. Basically, it's what you would think of: bacon mixed in with the batter and then cooked on the waffle griddle. Very, very good. I didn't order any coffee myself but I tried some of my boyfriend's and it was pretty darn good. In general, I just enjoyed spending a lazy morning eating a yummy breakfast after riding my bike down to the ocean. You could probably spend a fair amount of time just hanging out and eating and drinking coffee there if you wanted to, it's got that great feel to it. The only thing you may have to look out for is when the mad rush of people starts to show up around 10am. That's when getting up and leaving when you are finishing might be the more polite thing to to. Luckily, there's a great big ocean nearby that you can go check out! When I left the restaurant on our first trip, I was thrilled to find a very cute, very friendly black lab had been guarding my bicycle. 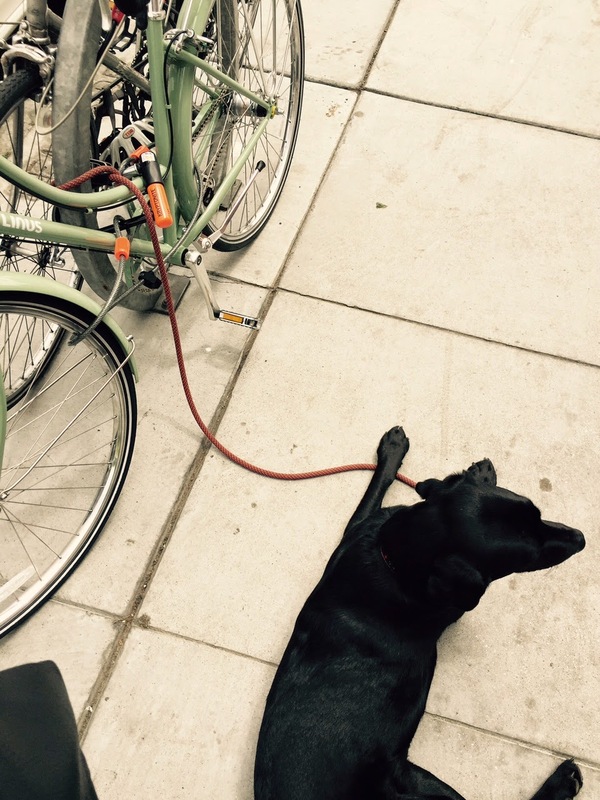 He was really cute and loved the attention as I was trying to undo my lock. Basically, a perfect end to a delightful meal and visit. Well, I hope you've enjoyed this longer post than usual. Granted, it wasn't all about mac and cheese, but if a particular restaurant environment strikes me as something special, I think that's worth writing about, too.